BIRTHDAY PARTY: a pirate’s life for me! Turning six, my eldest daughter loves the Disney Junior show “Jake and the Neverland Pirates” and wanted to have a pirate party. On board with this, I wanted to make the pirate party as girly as I could and was able to find some great goodies on Oriental Trading’s website. 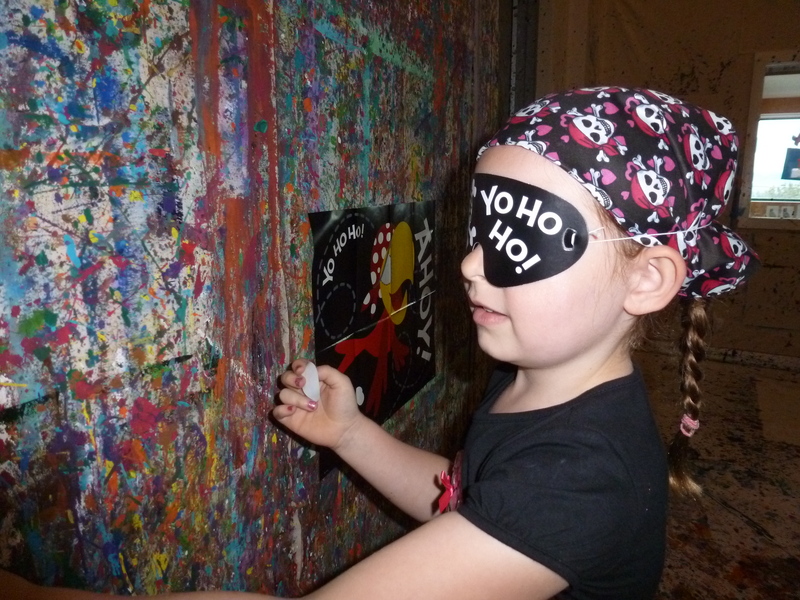 For the first time, I decided to host a birthday party at 4Cats Art Studio, and the kids all got to make a polymer clay pirate and paint a background where the pirate would be attached. Each girl left with their own piece of art. 4Cats rents their place for one hour fourty five minutes. The first hour is for the craft, the last 45 minutes is for cake and gift opening. This actually ended up being the perfect amount of time, not a lot of mess to clean up. My daughter told me that “this was the best birthday party ever!” and the girls all seemed to enjoy themselves, so it was a hit! 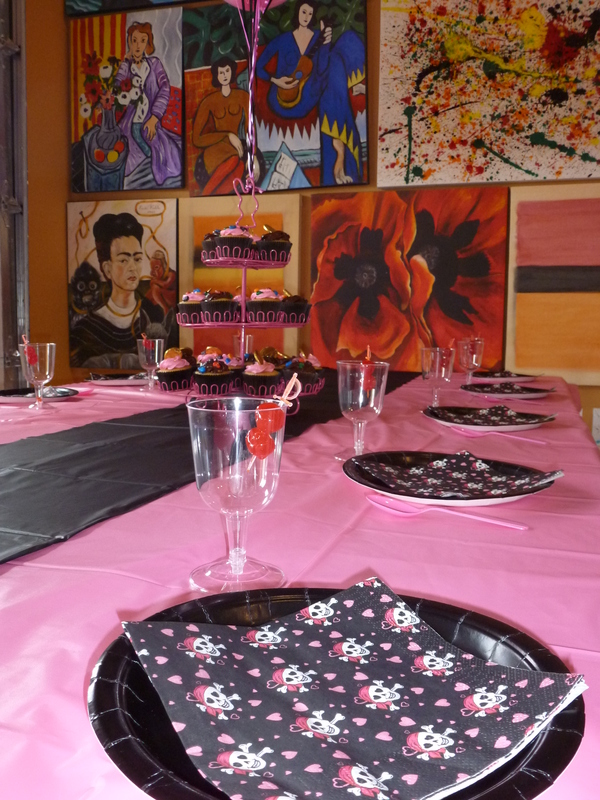 In an attempt to make a pirate party a little more girly, I chose the color combination of pink and black. I was happy with it! 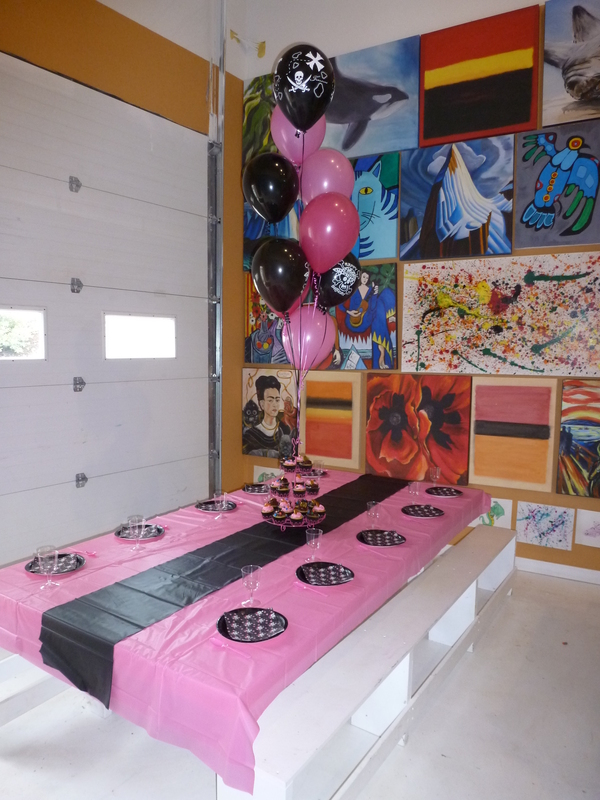 There wasn’t a whole lot of table settings needed for this party as the girls were only having cupcakes and punch. I found the little sword picks at the dollar store and wanted to use them for the party, so I decided to add some maraschino cherries to the glasses as added decoration for their punch. The napkins were one of the items that I purchased from Oriental Trading. 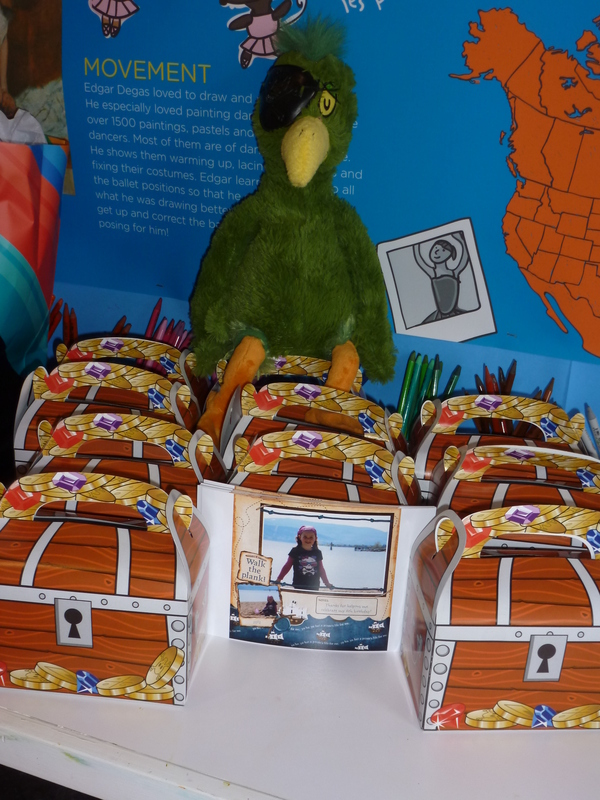 Each child left with a bandanna, pirate bracelet, their art they made and a treasure chest loot box filled with pirate tattoos, gold chocolate coins, some jewelry, stickers and other treats. After playing “pin the eye patch on the parrot” the girls received a pirate bracelet. The girls kept asking if they got to keep their bandannas and bracelets… they were a hit! 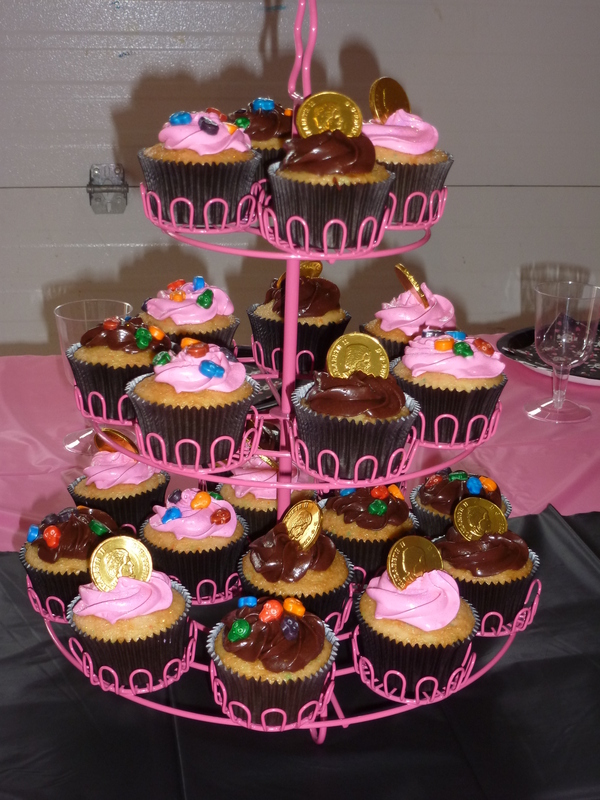 The cupcakes had either candy skulls or gold coins (also known as gold doubloons in the pirating world).